During any occurring and horrific “famine” period, I tend to look back at my career so far. I stand still and mentally travel to the time when I made the first hesitant steps in the competitive freelancing world. Part of this process is looking at a spreadsheet I use to keep track of income per month since I started working as a freelance translator. I also look back in the archive I keep for each client. Clients come, clients go, clients come back, and clients never come back. I cannot help but wonder what keeps clients loyal to a translator and what does not. During brainstorming sessions or simple chats with colleagues and clients alike, a few conclusions have been reached. 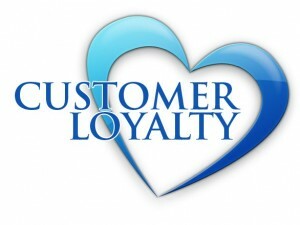 In this first part of the post, I will explore some reasons clients stay loyal to a translator. When a translator cares about his work and does a translation from the heart, an aura is produced. An aura that accompanies the target text wherever this may be travelling to. Inevitably, the aura will reach the offices of the agency or the direct client, however, it is only going to be felt by its audience. When the end audience responds to the text in a positive manner, again another aura is produced that travels backwards following the same path and finally reaches the translator. Passing by the agency’s or the direct client’s office, it leaves its marks. Clients, then, know that they have found a gem. Now, you will possibly think that you never hear any comments about the translation you have produced. No news is good news! If something was wrong, believe me you would know! A client’s time is very valuable. He cannot spare a minute in hearing complaints regarding a translation that has gone bad. He would rather do other, not less important things, like organizing the next translation project. Knowing that a translation completed by a skilled and responsible translator will not cause any time delays, keeps a client loyal. You do not waste your or his time, and time is money for both of you. Yes, you may be charging a higher rate per word than your competitors, but he will know that the minute you deliver, the work will be impeccable. His mind is at rest and no further queries are going to be raised! Yes, this is business and yes there is not much space for interpersonal relationships and friendships, however, each translator has a personality that reflects. Everyone likes and prefers to work with friendly, well-behaved people that with negative ones. During my career, it has occurred to me clients to turn into friends and friends into clients, although there is a fine line that needs to be considered and set so that there are no misunderstandings between the parties. Obviously, there are not only those reasons mentioned above that would keep a client loyal to a particular translator. I would love to hear your thoughts on the subject. What do you think are the factors that make the clients come back to a professional translator? Do share your thoughts! Interesting topic, Konstantina! In my case, it is also personal approach to each client that keeps them coming back. All my clients know that they are treated individually and that I do care they feel this way. Going an extra mile for a client is also a good way to keep them. Thank you Ewa! Yes,I think you are right, a personal approach is always a positive thing. Sometimes, I ask myself what keeps me going back to professionals that have done work for me in the past. Some of the reasons were included in my post, but surely, there are many other ones! Thank you for your comment, have a great day!